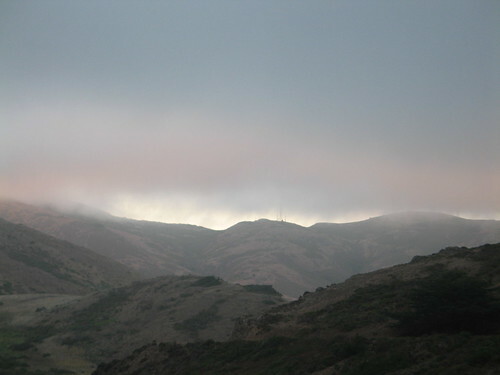 If I thought Newfoundland was foggy, I should have held my breath until arriving at The Marin Headlands in California. 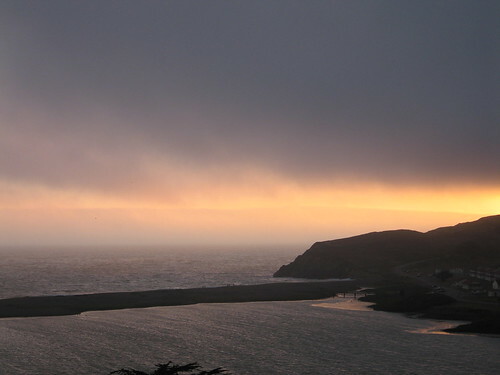 For five weeks I’ll be at The Headlands Center for the Arts, and the landscape already has my jaw dropping. The rock is softer, more crumbly than on the east coast. 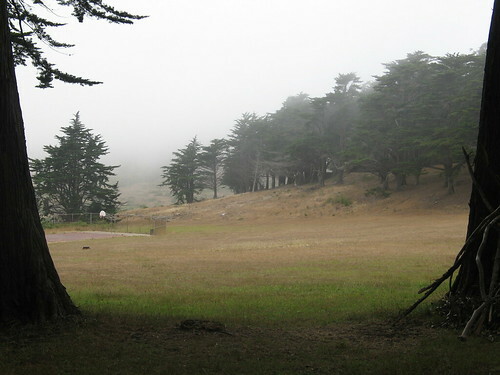 The Headlands is at a former military camp nestled in National Park hills dotted with crumbling bunkers and sparsely covered in fragrant flora. In less than two days I’ve seen several deer, most of which were within twenty-five feet of me, a bobcat, wild turkeys, small unidentified red birds, and today a grey-blue rotting seal which washed up on the beach when I wasn’t looking – sneaky that Death character. Poison oak is everywhere, which is the only drawback. That and the ghosts. I’ve seen plenty of the former but none of the latter, so far. The ocean is close and cold, when you can see it through the wall of fog. I’m probably the only artist in residence who is wishing and hoping, though not yet praying lest the others lynch me, that the fog won’t lift. This entry was posted on Wednesday, July 30th, 2008 at 10:27 pm	and is filed under Art, Nature. You can follow any responses to this entry through the RSS 2.0 feed. You can leave a response, or trackback from your own site.